Just two items grace the walls of the chambers of the Honorable Frank Paul Geraci, Jr., in the U.S. District Court for the Western Dis-trict of New York. On the wall to the judge’s left hang his appointment papers. They reflect his nomination to the bench on May 12, 2012, by President Barack Obama, and his confirmation by the U.S. Senate on December 13, 2012. On the wall to the judge’s right hangs an iconic photograph of the Kennedy brothers. Judge Geraci was raised in Rochester, without any brothers of his own, but with four sisters. The judge and his sisters went to Catholic school. Their mother was feisty; their father, strict. Judge Geraci’s father was in the hospitality business, as the man­ager of hotels in the Rochester area. He often worked from late morning until the early morning of the next day. The highlight of his career was when John F. Kennedy dined at his hotel in Rochester, and Judge Geraci’s father personally attended to him. One knew better than to in­sult the Kennedys in the Geraci home. Judge Geraci’s father im­parted to his son a fidelity to the Kennedys and a strong work ethic. Both can be seen in cham­bers. The Kennedy photograph, of course, hangs on the wall. Judge Geraci’s work ethic is ap­parent from the long hours he has logged in his chambers since his appointment. At that time, his seat on the district court had been vacant for nearly four years. The judge has focused on clearing out the backlog of cases he inherited. In a single year, he held 10 jury trials, including nine civil trials. 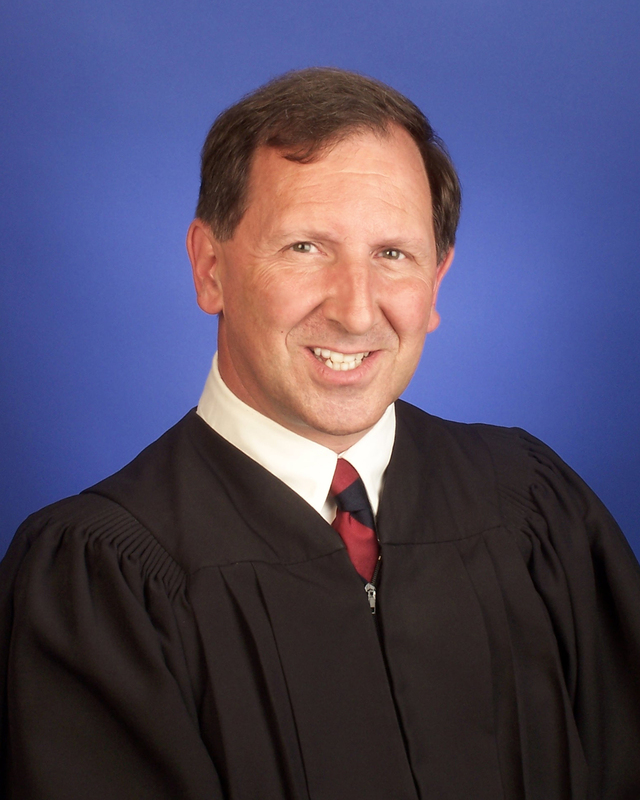 – have I encountered a candidate who so perfectly combines judi­cial experience, judicious tem­perament, and complete dedica­tion to his community as Judge Geraci.” Prior to joining the dis­trict court, Judge Geraci served for six years as a Rochester City Court Judge and 13 years as a Monroe County Court Judge, as an acting Supreme Court Justice for seven of those years. Beyond his substantial judi­cial experience, Judge Geraci has practiced in both the public and private sectors. His career be­gan as a prosecutor in the Mon­roe County District Attorney’s Office. Following five years in that office, he became an Assis­tant U.S. Attorney in the Office of the U.S. Attorney for the West­ern District of New York. As an AUSA, Judge Geraci handled a mix of civil and criminal cases. Judge Geraci thus gained first­hand experience litigating civil and criminal cases and appearing before state and federal judges. W. Feldman (no rela­tion). Judge Geraci and Judge Feld­man opened their firm, Geraci & Feldman, in 1987, oper­ating out of a series of motel rooms. From those humble beginnings, their firm grew into a success. Both partners loved the experience. At Geraci & Feldman, Judge Geraci was an early proponent of alternative dispute resolution. He found that mediating cases helped him understand the psy­chology of disputes, and proved vital – then and now – in teaching him techniques for bringing par­ties together to settle cases. Judge Geraci believes every attorney should be taught mediation, and that the experience has particu­larly important lessons for litiga­tors trying to resolve cases in the best interests of their clients. Another tip Judge Geraci offers is that lawyers appear­ing in his courtroom will face a hot bench. The judge reminds litigants that he is fully prepared and has no need for a recitation of facts. Lawyers should also be prepared for requests for addition­al briefing, which Judge Geraci will make when he believes ad­ditional briefing would assist him in resolving an issue. Although the judge understands the nature of private practice, including the stress on lawyers juggling mat­ters, worrying about their cases, and dealing with difficult clients, he is unlikely to provide long ad­journments or extensions, even when requests are made on con­sent. Based on his experience, the judge believes that deadlines are often vital in helping parties focus and resolve cases. The judge enjoys what he considers the excellent level of lawyering among the federal bar in the Western District of New York. He believes that pro bono assignments are important for the court and for otherwise pro se lit­igants, and he commends the bar for accepting those assignments when requested. For members of the bar, Judge Geraci is a superb addi­tion to the U.S. District Court for the Western District of New York. He brings with him a rich background, replete with judicial, public service, and private prac­tice experiences, in both state and federal courts. Those expe­riences provide the judge with the ability to appreciate a wide range of perspectives. They also provide him with a keen sense of fairness in criminal sentencing matters, based on his familiarity and facility with the different sen­tencing practices in federal court compared to state court. Federal practitioners are extremely fortu­nate to have such a well-rounded and dedicated judge on the bench.